I've been gearing up for the summer season, prepping for markets, designing and experimenting with some new designs and I have a spring break coming up! Busy bee here in Brooklyn. 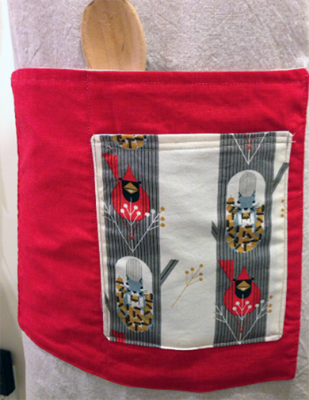 One of my new aprons, which debuted at the Handmade Holiday Cavalcade at Chelsea Market in Manhattan last Christmas was the Charley Harper apron. I have renamed it the Harper apron. These will be a limited collection and only a few in each design. This is a full style Butcher Apron with 3 pockets. The third pocket will be a media pocket. All pockets are double sided and will feature some of the amazing, gorgeous prints from Charley Harper's Birch Organic collection. The main body of the apron will be a linen cotton fabric, perfect for the warm weather and a hot kitchen.